Gayle King commits ultimate fashion faux pas on CBS by wearing dress backwards -- again! 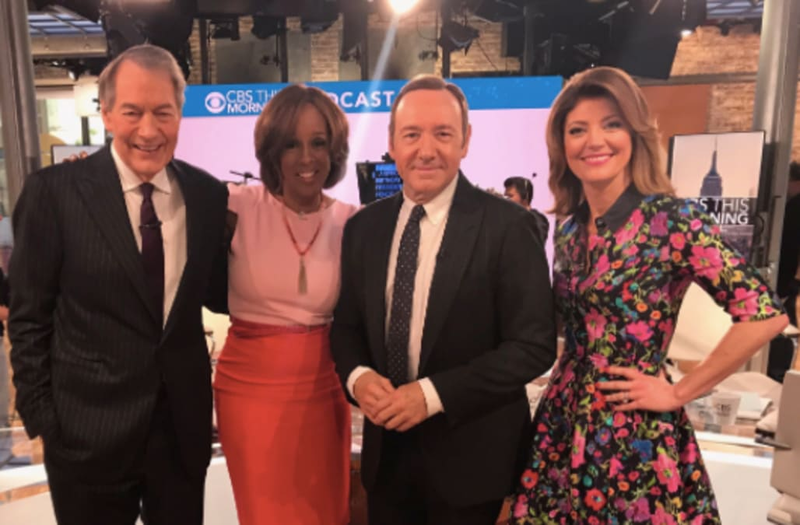 CBS anchor Gayle King committed the ultimate fashion faux pas last year when she wore a $1,300 Antonio Berardi dress the wrong way around, and it looks like she intentionally repeated the same mistake on Wednesday. Which is correct? pix in the middle-dress is on BACKWARDS & I prefer this way .. Thoughts? shout out to @antonioberardi I LOVE the dress! "Which is correct? pix in the middle-dress is on BACKWARDS & I prefer this way .. Thoughts?" she captioned the 2016 snap. We gotta give Gayle props for wearing the outfit in whatever way she feels the most comfortable in! While King was an incredibly good sport about her mistake, we're sure close pal Michelle Obama had a few laughs at her expense. The former first lady wore the same dress on the cover of Seventeen magazine's May 2016 issue -- with the zipper in the front. The two were last spotted together in late March when they were both seen out at lunch with Sarah Jessica Parker and Robin Roberts. Talk about a power lunch!